Earlier in the year we reported on the iJoy Ride, the machine that lets you exercise in a horse riding type fashion. Another exercise gadget from iJoy is the Board Trainer which lets you work your abdominal and oblique muscles snow board style. You can see a video of it in use here and it does look kind of fun though no replacement for the real thing. 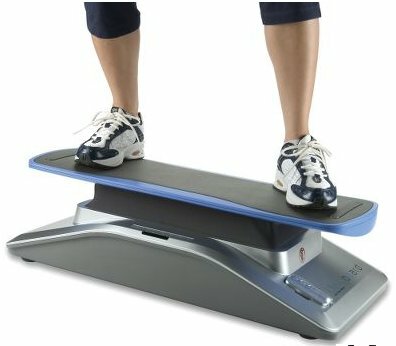 The board trainer is available from Hammacher for $479.95 or Amazon at $295.00, hmm tricky choice.